UUFR Book Club today went very well. 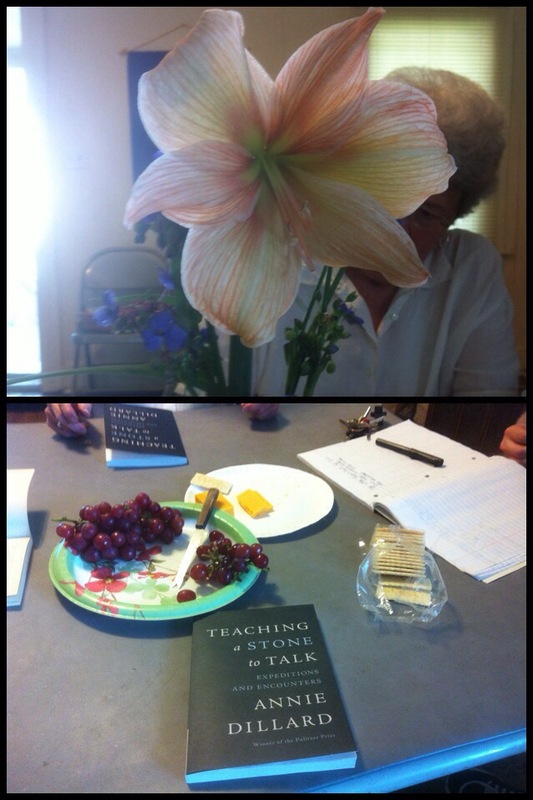 We very much enjoyed the first 100 pages of “Teaching A Stone To Talk” by Annie Dillard. Also, Nina brought some lovely surprise goodies, and Lynda some lovely surprise flowers. Thanks!